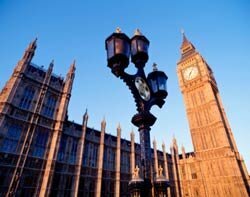 Government reforms cut IT spending by £316m in 2012, the National Audit Office (NAO) has confirmed. The NAO report examined Cabinet Office savings of £702m from IT reform, with published figures of £354m through spending controls and £348m through the re-negotiation of contracts. However the NAO was unable to validate the £348m figure. Of £354m savings reported by the Cabinet Office as a result of its ICT strategy, £38m were unable to be verified. A remaining £145m was saved through spending controls, £64m through sharing ICT such as the Public Service Network (PSN) and £144m through centralised ICT procurement. The NAO report said £6.9bn was spent on IT in 2011-12. Cabinet Office chief operating officer Stephen Kelly said this week that the £6bn government spent on IT was still too high for what was delivered, at the Government Digital Service (GDS) Sprint 13 conference. Sally Howes, CIO at the NAO, told Computer Weekly that the NAO findings showed that the spending control and centralised processes were working. “We don’t deny that some good stuff has been happening with contract re-negotiations, but some record keeping hasn’t been as good. Although government data is getting better,” Howes said. Programmes such as the CloudStore have yet to make a significant impact on savings and are still a work in progress, she said. “The amount of business transacted through it was not great last year but it is now picking up. So it appears to be moving in the right direction," she said. The impact of other initiatives to reduce the dominance of large ICT suppliers and increase the involvement of small and medium-sized businesses remains unknown at this stage, added the report. It also found suppliers consulted by the NAO were frustrated at the slow pace of change and the focus on cost-cutting, rather than exploring innovative opportunities to redesign public service and put services online. There have also been comments from government on resistance by suppliers to change, added the report.